As a child, I recall my carefree days where everything was laid out in front of me and I never had to think of tomorrow, knowing my parents would always be there for me. As the years go by and as I step into school and finally get into a university, everyday is a day closer to entering the working world and learning to earn my own money as well as budget all my expenses to save money for a rainy day. I can choose to live from day to day without any personal financial goals or I can set targets to plan my budget and retire happily in the future. In the case of the latter, the area of personal finance is extremely crucial. I would need to draw out a proper budget and have good debt management especially for my credit card spending. In my opinion, we are naturally prone to impulsive spending and owning a credit card makes it even easier. We tend to overspend and buy items which catch our attention without second thought if we could actually really afford it or if it is within our budget. With just a swipe of the credit card, the deal is through, the items are ours but a bill waits at the end of each month. This is the time when we have to fork up the real cash and pay for what we have bought earlier. At this point, most people realized they have overspent but it is too late and delaying the payments will cause debts to pile up and eat into all your savings. This is why debt management is important where you must ensure you borrow an amount is within your affordability to repay. Initially, it may seem such a hassle to curb spending and be deprived from things that you wish to own. However, delayed satisfaction will be worth not only your time and money, but your whole future. If you can stay debt free from the very beginning and spend within your budget, a time will come when you can afford everything you have wished to own before this. Therefore, debt management is crucial as falling into the debt trap is a vicious cycle where all your savings will go into paying the debt and high interests. If you find yourself stuck in paying high credit card bills beyond your salary and have no savings, it is indeed time for debt management. The very basic step to take is to simply stop buying things you never actually need. It is never too early to start planning your budget, as it is a stepping stone to financial freedom. Google has risen up fast as it has gathered a large following despite its’ relatively new presence, having launched its site in China in 2006. As China is rapidly developing, its citizens are becoming more technology savvy and rely on Google for various activities like sending emails, checking up maps and using the translation tool to translate Chinese into English, or vice versa. China is such a large market and Google is not the only search engine, in fact there are many other websites which are more popular, in particular Baidu.com. Nevertheless, many still prefer to use Google. The main issue of the various discussions and debates is Google’s announcement that it will no longer continue censoring its’ search engine results in line with China’s regulations and would pull out if China is not willing to give in. Responses gained from some Google users in China shows that they do not wish to see Google leave their country. For example, Liao Yuting, a first-year journalism student at the People's University of China in Beijing, said the majority feel it will be disastrous if Google shuts down. The search engine has become part and parcel of their lives. Although Google has been successful in gaining popularity among many Chinese users, there are still many who feel it is right for China to continue censoring the firm’s search engine. Basically the censoring works by blocking access results for sensitive words, for instance, Tiananmen massacre which is a bad reflection of the government in the past. Chinese users are not able to access results for sensitive words, such as Tiananmen massacre, a reference to the bloody crackdown on protesters in Beijing in 1989. Those who side the government’s decision believe that this is the best way for China to control the people as the past information could be misused. Besides, the country is so big and it would be difficult to monitor if anyone is planning anything against the government-the best way is just to block access to all these information. The main question now is what Google’s final decision will be. Even if it does pull out, how long can the China government continue to keep the historical truth from its people? Google is indeed torn between two choices- business or ethics. If it pulls out, there would be a large market share loss. At the same time, the hacking of Gmail accounts and blocking the past truth is unethical and unfair to the people. This topic was a hot issue in the media especially during the years 2007 to 2008. All the headlines were covering the financial crisis in the US which was attributed to the breakdown of the subprime loans. How did housing loans become so powerful to throw the whole US economy into a severe financial crisis? First let’s start off with what a subprime loan actually is. For example, if you would go to the bank and wish to borrow money to buy a house, would they just lend you the money instantly? The answer is no. Obviously, the bank will thoroughly check through your background, financial status and your assets to back you up in case you are unable to pay back their money. All the banks would close shop by now if they would just issue loans without checking if the borrower is even eligible for such a sum of money. Well, basically this is what happened in the USA. A subprime loan is a type of loan whereby bankers issue housing loans to borrowers who are actually unable to afford to pay back that sum of money. During that time, bankers were confident as they could simply repossess the house if the borrower cannot repay the loan. Simply speaking, if the borrower stops paying, the bank gets their house and they can resell it for a higher price. Back then in 2006, the property market was booming and this is one of the main reasons banks were so keen to give out housing loans without following the proper procedures. Unlike the traditional loans that take time to get approved, these subprime loans were so easily obtained and this attracted many borrowers. The only price to pay was that interest rates would be much higher after the first few years of the loan. Subprime loans began over a decade ago, and the problem only surfaced in 2007 when many people were unable to afford the loan repayments and interests. If they stop paying, the banks can take their houses and sell it off. Unfortunately, due to the massive amounts of loans given out and with such a high default rate, property prices were crashing down. Why? Since people knew they could not afford the repayment plus the value of their loan exceeded the value of their house, all of them just let go of their houses and let the banks have them. Nobody wanted the houses anymore, and when supply exceeds demand, this price is driven down. Banks could not sell the houses at prices enough to cover the cost of the loans they had given out. As a result, many financial institutions had to shut down. Moving on, why did the house prices decline so much? Basically there was a housing boom in the 1990s, and lots of speculation that prices will keep increasing, thus driving prices higher and higher. A housing bubble was built and burst when the housing prices failed to appreciate as expected. Anyways, what goes up must come down. The housing prices could not be increasing forever. This property bubble plays out in the recent Dubai crisis. There’s always something to learn from history. One important lesson from this crisis that had a major impact on US and the rest of the world is that any money flow without any solid backing will have to fall. In a nutshell, all the high property prices were caused by mere speculation, with no true intrinsic value. But everyone was banking on it and taking loans in hope that they could sell it off quickly at a higher price to repay the loan taken. Like dominoes, they have collapsed and turn into nothing. Nevertheless, the US economy is starting to see recovery and is picking up once again. One thing for sure, is that the government policies would be keeping an eye to ensure financial institutions do not get involved in such high risk activities anymore. First day of work- how to start well? If it is your very first time stepping into the working world, you may initially find it difficult to adapt to or encounter problems with certain people. Bear in mind that if you are not job hopping, it is important to be able to stay happy at your workplace, so that you have motivation to perform well. In this article, I would like to share some tips to help you adjust quickly to your workplace from day one. Your first impression-the way you dress and look is important. However, it is even more crucial that you carry yourself well by knowing how to relate to other people. One of the most essential things is to respect your colleagues, even if they are your juniors. This will pave the way for you to get to know others and you would find it much easier in working with your colleagues. Many people find it a complete turn-off once you are rude, rough or arrogant. Confidence is one of the characteristics that make you look your best. It is very different from being proud; Confidence simply means that you are sure of yourself, know your stuff and are willing to take on new challenges at the workplace. This characteristic is easily identified from your manner of walking, eye contact and speech. Undeniably, you might be nervous on your first day of work but it is no reason for lack of confidence. Just tell yourself, ‘I am prepared to take on anything with my best effort regardless of the outcome’. At the workplace, especially in offices, office politics is very rampant. There will always be hot discussions on relationships between your colleagues, bosses and so forth. Why do people love it? The reason is clear that it is very interesting as it is frequently talked about, imagined and the real story being twisted. Many a time, a lot of the stories are untrue. Be objective, mind your own business and stay out of office politics. Especially if you hold a senior post, gossiping in office is a sheer waste of time and a bad reflection of your own character. Okay, so you're on cloud nine when you've finally got your first interview after sleepless nights and tiring days of phone calls. The employer/recruiter wants to meet up, and remember even if it is a professional position or a clear genuine job, here are some basic safety tips which can help avoid unnecessary trouble. It is never advisable to meet anyone in a secluded corner or unfamiliar place for the first time. Some good choices of meet-up places are a downtown cafe, or a restaurant in the shopping mall. Basically the whole idea is to ensure that it won't be a place that no one or the public are able to see you. In case there is any problem, being in an open place will be very much to your advantage. It is always good to let someone know, preferably your family members or close friends of where you are going to. They would be able to look out for you and be aware of your whereabouts in case of any problem. You can roughly gauge if you're in for a genuine job interview. If the interviewer is asking too personal questions intruding into your privacy or has extremely weird character or manners, be on your toes. Other than that, DO NOT simply sign any form without reading. There is no offence to the other party, as any document with your signature is a proof that you agree to all the terms stated there. In fact, if they are serious in employing you, tell them that you would like to take a copy home to study it. It sound meticulous and ridiculous, but in actual fact you are saving yourself from being risked into being conned or to agree to things you were never told before. When you've got a job interview or any meetup with a new person, always remember that many unwanted circumstances can be avoided as long as the very basic precautions are taken. Always think twice before you take any action or make any decision. The credit card is a wonderful development that has helped us to make cashless purchases which are very convenient and much safer for large items. 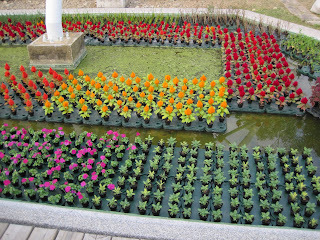 In addition, it is the perfect solution when we are short of cash but need to make an urgent purchase. Despite its great contribution in making our life much easier, the credit card undeniably presents dangers of overspending and building up potential vast amounts of debt. Nowadays, credit card companies are mushrooming in the market and constantly lowering the threshold to own a credit card. Why? Obviously the answer is that this business has to be lucrative. By getting more people to own a credit card, people will tend to use it more often compared to cash. Basically, credit card companies lend money to us and charge us an interest when making payments for our debts to them. The problem is, when we have overspent and are now really short of real cash to pay them, the interest gets higher and higher. It is a vicious cycle, as spending more than we can afford will result in more profits for credit card companies. What happens when we are piled up with debts? The main effect will be the fear of how we would be able to continue on and repay back the money. If we choose to default, the companies will take legal action which will cause even more complicated issues. Instead of getting into this problem, the best way is to watch your spending, plan a budget and stick to it. This will save you all the headache and hassle of worrying about any debts. Live a free man and be happy! In this digital area, the internet is a very powerful tool in aiding job matching globally. Not only does it save everyone time and money, this means is increasingly popular as you can search for jobs or find potential workers by using your PC. In fact, many multinational companies are shifting their recruitment activities online to headhunt the best people for the job. However, cyberspace is mean too and there are various scams all over the internet. You'll usually get these results if you search Google for 'fast money online' 'free money' and other way off means of getting cash quickly. Always bear in mind that there is no free lunch on the internet and most sites promising an unbelievable return is probably scam. If you're looking for a full-time job, it is always advisable to have a phone conversation or even better meet up before agreeing to any work terms. If you're in Asia, here are two recruitment sites that have been around and are fairly reputable. However, it is recommended to always be on the alert no matter how genuine the job seems to be. Jobstreet.com has been around in the market since 1995, and is a top recruitment agency in Asia serving various large corporations. Its' service is currently available for 8 Asian countries: Malaysia,India, Singapore, Indonesia, Philippines, Hong Kong, Thailand and Japan. If you're looking for a job in any of these countries, all you need to do is to sign up for a free account and upload your resume. Next, you can search for relevant jobs and submit your details. I have tried using it before and the whole system is very easy to use as your resume is stored in the Jobstreet system and you don't have to re-enter anything when bidding for jobs. So now, how does Jobstreet make money? Firstly, they are listed on the main market of Bursa Malaysia (Malaysian stock exchange) and employers are charged for placing advertisements on Jobstreet. One tip is that if you are in urgent need of a job, apply to all the jobs relevant to your expertise. This is because the number of applications are usually fairly high (there are also low-application jobs for very specialised fields) and the possibility of being short-listed can be rather small. If you are short-listed, the employer will contact you via email or phone. Jobstreet only serves as a channel, and all dealings with the employer are independent of the site. Asia part time is a free website for both employers and job seekers. Anyone can post a job for free, which is moderated by their staff. Like Jobstreet, all dealings are between the job seeker and employer. The jobs here are mostly part time or home based. If you have a skill, you can even post an ad to promote it. Just be careful, as there may sometimes be scams posted here. Overall, one of the most popular types of jobs posted are promoters for various products. The jobs are mainly available in West Malaysia like KL. If you are proficient in two languages (Mandarin and English), you can try checking out this site for people looking for translators. However, you need to be sure it is genuine first. My next posts will talk about staying safe when applying for jobs online and some tips to ensure you won't get scammed. Thanks for reading. Click to the major online news websites, and you'll find that the breaking news headline is about Google possibly redrawing their operations in China. Reason being? China has been censoring the web searches by the Google search engine and Google no longer wants to do that. All these while, China has been well known for investigating human activists and dragging them to jail in addition to their strict censorship to ensure no anti government websites are set up. Recently, news broke out that various Gmail accounts belonging to human activists have also been hacked, and Google believes the China government is behind this. On Tuesday, Google announced that it would possibly move out if China refuses to take its grip off the censorship. Today, the China government dropped the bombshell- in an indirect yet clear response implying that Google has to follow the land rules. Google has yet to reach a decision, but pulling out of the China markets represents a great loss of market share and a severe impact to China internet companies who have been working with Google. If China were to give in, their face is at stake as they have ruled with an iron hand for so long. Student life is one of the most enjoyable times where we basically are almost being full-time gaining new knowledge with no burden to be a breadwinner. There are also people who study part-time while working, which is also a great idea to have a steady income stream while investing in new knowledge for better career prospects. I think an evergreen issue that arises among students as well as working people is how to save money. Well, for this post I will focus on money management for students particularly in colleges or universities. My reason behind this is that minors (below 18), are legally not allowed to work yet, unless of course for friends or family members is an exception. Many times, we find ourselves short of money after paying all the bills and basic necessities. As students, we do want to hang out, have fun and enjoy occasionally after those heavy loads of lectures and assignments. Sometimes, we want to reward ourselves and get something we like from the mall or give ourselves a treat at a restaurant. But, once again money is the issue. In my humble opinion, here are some ideas if you're running low or want to save up some extra cash for someone or something special. This is the very basic step to be on your way to a simple investment. When you keep money in the bank, you're actually lending money to them and in return you get interest. Interest is basically a certain percentage you get by doing nothing, just by lending money to the bank. The amount increases as your funds build up. It may seem discouraging at the meager amount initially, but its better to start now, than never. Everything takes persistence and time. This seems so contrary to rushing in for bargains and cheap sales. Well, that general rule is actually true, you can get great discounts on branded and designer goods but watch out. Especially for students, brand consciousness is really important for some people (I'm not against it, its a personal priority). Bargains of 50 percent to 70 percent will send crowds swarming the mall. Make sure you buy what you really are looking for and need. Personally, I've made mistakes by buying so many things during cheap sales just for the sake of the price and ended up not using them at all-money wasted. Of course, one tip is that if they are genuine branded items, you can try selling them off on your blog or on eBay. The whole atmosphere during sales are always hyped up with techno music, so we ourselves need to be sure what we want to buy and check our budget. Usually when signing up for a university course, you can choose between full-time and part-time. Basically, for part-time you won't be taking the full range of subjects. Based on past experience, there is actually ample room for free time even for a full-time course. Once again, it depends on your university course and workload. One option is to look out for on-campus opportunities, this can save a lot of travel time. In some universities, there are part time work for students like being a peer tutor. You can check for these opportunities with your lecturer. The pay is not extremely high, but is decent to earn you some additional pocket money. All you need is to have reasonably good grades and patience. This is because you'll be teaching weaker students. One tip is to ensure you have enough time for your own studies and tutor a subject closely related to your course. From personal experience, peer tutoring has helped me increase my knowledge and help me in my own course. Other part-time jobs may include being a promoter or cashier at the mall, tuition teacher and any other that fits your interests and skill. There are many other steps which I will share using different approaches, as not to bore you. In my opinion, how to save money as students boils down to three simple principle-Be creative, think before you spend and follow the crowd with your eyes open. As a student, I used to look out for online opportunities to make some extra bucks. Top Google searches are phrases like 'make money fast online', 'free money' and 'paid survey online'. Just try typing these phrases in Google, and you'll find tons of websites promising easy money and ridiculously high amounts like $5000 per day. Seriously, if it were that easy I think everyone won't need to be working today. Many of these sites usually ask for an initial investment promising tips and super high returns through surveys, typing online ads, clicking ads, and so forth. Plus, all these sites will feature genuine looking testimonials of success stories. All these are pointers to SCAM. Another popular search are for things like online paid surveys. Their attractions plays on the fact that you just need a laptop, and surveys will keep coming, making your computer an ATM machine. Out of curiosity, I did sign up for some sites to finally know the truth myself (of course those without any initial payment). All these happened about 2 years back and I'll like to point out some genuine sites, applicable mainly for Malaysians. They definitely won't make you a millionaire or even close, but yeah its something to do for fun when you're bored of surfing the internet. This is a website aimed at youths in Malaysia founded by top Malaysian young entrepreneur, Joel Neoh. At this website, there are various forums and ongoing discussions to share your opinions with other members. This site works by paying youths to give their opinions of products by Youthsays' clients. Basically, it is a channel between marketing companies and youths. Surveys come quite often, but it is usually open to a limited number of people. You're be emailed when there is a survey, and it's like first come first serve. If you have 3G or wifi on your cellphone, you probably can maximise your earnings on this site. They will pay you a cheque when your earnings reach RM50, which obviously would take quite quite a long time. Nevertheless, something fun to do when you're bored.Their latest feature is where you can submit your uni or college event and they'll help you check if you can get sponsorships. There's still another survey website which doesn't pay out cash but gives points (something like Bonuslink). You can then redeem them for vouchers. I qualified for a RM 10 KFC voucher, it has yet to arrive and when it does, I will do a write-up and certify it genuine. Here's a link that offers some genuine sites. However, you may sometimes get surveys but you may get responses that you do not qualify. This is due to the target market requested by the client. Usually, you'll set up a profile and you'll be matched with appropriate surveys, but still this issue does happen. 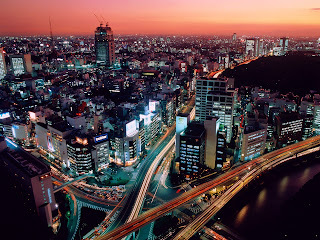 Tokyo, which is Japan's largest city and its capital has a population of over 12 million people. Everyday, the streets are packed with people, the usual hectic city life. A few weeks back, I came across this article on japanese capsule hotels. The name itself caught my attraction as it seemed unique. These type of hotels were meant to be stayed in for short term periods. However, due to the high cost of living in Japan, many people have made this their permanent home as it is the cheapest option, for $30 per night. In our Malaysian currency, that's about 100 ringgit and we can easily put up in a decent hotel. Japan's different as everything is pretty pricey there I guess, never been there. These capsule hotels basically look like human size version of pegion holes, it has a bed, tv and locker and common washrooms. In actual fact, the gap between the rich and the poor is very large in Japan. 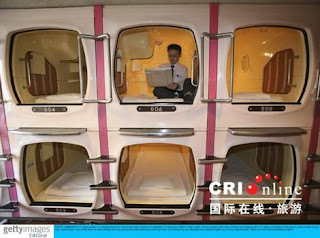 Many people are unable to afford to rent or buy a home, thus Japanese Capsule Hotels are thriving. 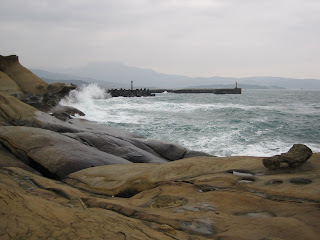 Land is very scarce due to the limited area in Japan, thus driving up property and landed assets. Below is a video with a Japanese citizens on his daily life and making capsule hotels his home. A couple of weeks back, I tuned in to the NTV 7 Breakfast Show and they happened to be discussing about Down Syndrome with the founder of the Malaysian Down Syndrome organization and a person living with Down Syndrome. One of the issues that really enlightened me was that Down Syndrome is actually simply to do with genetics instead of commonly thought of as a disease. Down Syndrome people are completely healthy and the only difference is that he or she has an extra chromosome 21-totaling to 47 instead of 46. This in turn causes some distortions to the physical features and delay in the mental development. Since I'm so free now, I've decided to write about some products which have been reliable and safe. Ever since I started wearing contacts in 2007, Solo Care Aqua by CIBA Vision was the first brand introduced to me by the optician. I find this multi-purpose solution is very convinient as it does everything-clean, rinse and disinfect lenses. I don't need to use any other supplementary solution. In addition, every bottle comes with a case whereby green, labelled R is for the right eye lenses while the white side is for the left eye lenses (this is applicable if you have different degrees for both eyes). Each time I open a new bottle, I will discard the old case. It is important to do so as the case may look clean, but bacteria and dirt actually accumulates over time. I particularly like this brand as it has this 5-minute express option which comes in handy when you need your contacts within short intervals of time. Its pretty simple- just apply a few drops of the solution on the lenses and rub on your palm. Then soak it in the case for 5 minutes and you can wear them instantly. Apart from that, I can store my contact lenses in the case filled with the solution for up to 30 days. This is provided you don't open it and keep it tightly shut. I find this useful as I don't use contacts everyday nowadays. On top of that, it can store the lenses for more than 30 days, but you can't wear them right away. You'll need to soak them in fresh solution first. I've never tried that since my contact lenses only last a month. Overall, I'm very satisfied with this products. All the boxes are sealed on the outisde and the bottle itself has a sealed cap. Once opened, it can last up to 90 days (3 months). Therefore, it is important to note down the date or use a marker to write it on the bottle. 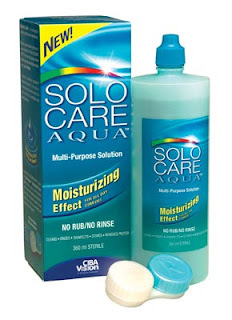 Solo Care Aqua is available at opticians, Guardian, and Watson in bottles of 360 ml and travel packs of 120 mls. I know, the image above looks pretty gross, but these creatures are already present in our rice bought from the supermarkets. All this while, I kept wondering how these tiny creatures suddenly appeared in the rice, usually after about 2-3 weeks. I kept the rice in a tightly shut container, kept the area around free from food, there was no way they could get into the rice. Recently, I searched up 'weevils' on Google and found that these little creatures love to attack dry food like oats, flour, grains. Sad to say, but they're labelled as pests. Moving back to rice weevils, the sacks of rice we buy from the supermarkets actually contain the weevils eggs, they're just not hatched yet. In effect, the eggs are actually in the grain of the rice, which is definitely not visible to the human eye, unless you use a magnifying glass. That's why after a few weeks, the eggs begin to hatch and weevils appear. 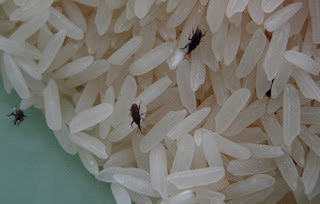 One tip, if you're buying rice from the grocery store or supermarket, the rice is old if you can see weevils inside. I then began to search how to get rid of these weevils. Basically, the two ways are by applying extreme heat or cold. One suggestion is to store the rice in the fridge. It's actually a pretty good idea if you're buying say only a small amount of rice. However, if you're buying the usual 10kgs, the fridge will be pretty crammed up. Another way, is to apply extreme heat by heating the rice in the oven. Once again, it will be a bit difficult to do it for a few kgs of rice. You'll need to make several rounds of heating the rice up. At the end, I used extreme heat but not the oven- I had 10kgs of rice. I went to the hardware shop and bought a stainless steel rice tong and stored the rice in there. 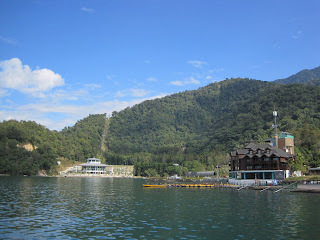 On a sunny day, I placed the rice tong in the sun for a few hours. Even if there are no weevils yet, the heat will help to kill the eggs, thus preventing emerging weevils. This way is a bit slower since the sun would not match the oven heat. It is not advisable to use plastic containers, as plastic is not meant to be exposed to extreme heat and can be poisonous. A contact lens is basically a corrective or cosmetic lens placed in the cornea of an eye. For long-sighted or short-sighted people, contact lenses may serve as an alternative to wearing spectacles. On the other hand, cosmetic lenses which come in various colors and are able to enhance the beauty of the eyes can be used for everyone, including those with perfect vision. In my opinion, contact lenses cannot fully replace spectacles as opticians and eye practitioners usually do not recommend the wearing of contact lenses 24 hours a day. In addition, it is not advisable to wear contact lenses when swimming, even with goggles as this may cause eye infections. There are 3 phases throughout the development of contact lenses- Glass contact lenses, hard plastic lenses, and soft contact lenses revolution (today). Throughout the 3 stages of development, the contact lenses were continually improved in terms of size, thickness, safety and comfort. The link below provides an in depth timeline and names of all the people involved in this creation. Each person has their own reason for wearing contact lenses. It could be for beauty, practicability, comfort and many other different reasons. From my viewpoint, contact lenses are very practical for people who lead an active lifestyle as it helps improve vision during sports and prevents damage to spectacles. In terms of comfort, first time contact lenses users may feel awkward, but after about a week or so, it will probably feel as if there is nothing in the eyes. Despite the many benefits of contact lenses, they also have some disadvantages. Firstly, you need to ensure that hands and nails are very clean and free from any dirt. This is because any dirt on the contact lenses can cause eye swelling and irritation. Apart from that, when you are in a hurry, wearing spectacles is much more convenient than wearing contact lenses. Some safety precautions are to always wash hands and nails before wearing, never re-use the contact lens solution in the case, do not wear contact lens to sleep (unless it’s extended wear type), wear contact lenses before applying makeup and stop wearing lenses if you detect any discomfort. See and eye specialist. For minor swelling, apply ice patch, Manuka honey or eye drops for irritated eyes. It's back to school for all kindy, primary and secondary school children tomorrow, 4th January :) As usual, madness during the final weekend before school starts, all the last minute shopping and preparations especially for the primary one school children. I remember my days back then, school was somewhat interesting and exciting, but yea as usual I had to wake up super early and be in school till afternoon. Compared to uni life now, I would say uni has much more freedom, which indeed comes with pros and cons..pros for me are that its very flexible, you can go for another class if u can't make it for one, you can somewhat set your own schedule for classes...cons are that workload is not less at all :p and tend to procrastinate. I guess that's life, as we grow older, we have to learn to be more independent since we're treated as adults (which we are ) at uni...nevertheless the education at school was very crucial as since we actually had to, like it or not follow strict rules, teachers orders etc..it helped to make students more disciplined and respect for the rules..anyways happy back to school (if there's such a thing) :p to all the school children! And happy hols to the rest..till uni resumes.. The new year breathes in new hope, new goals, new aspirations, new experiences and everything new like sparkling silverware...it sounds so perfect and bright..indeed I hope it will be, but the future is unbeknown to any human being, for only God knows the future. But I believe I can move along and survive the storm in life if I can learn to always appreciate and not complain, knowing living life to the fullest depends how I wish to live it :) Life is indeed full of challenges, but always look forward and know there will be something better ahead.. The beauty of life lies in the serenity and peace of nature...it is always a sunny day for the rain and storms that come will have to give way...we determine the life we want to live, it is a puzzle and we have all the pieces, we cannot foresee the future, it is in God's hands..but we can learn to co-exist with life and be at peace with it :) May we all have a great new year ahead and overcome all obstacles! Happy New Year 2010 everyone :) I hope this year would be a good one for everyone.